Either a Blackboard Assignment or Turnitin Assignment. At least two student assignment submissions submitted. From the Control Panel, select Customisation > Tool Availability. 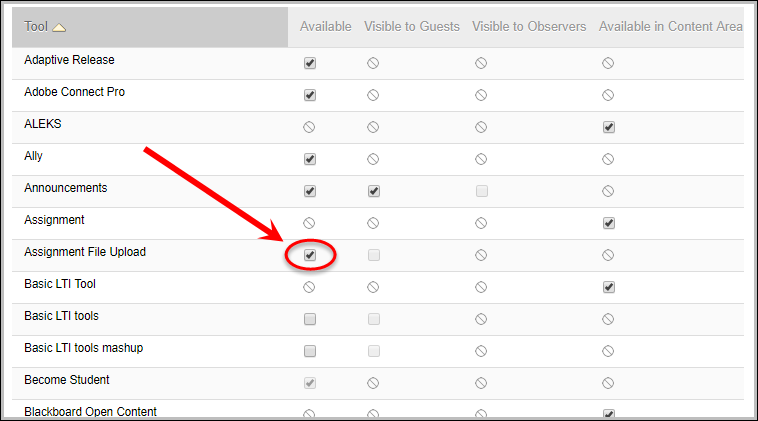 From the list, check the Assignment File Upload checkbox.